However the good news is that it is entirely possible to make quick money online, and easily too. Unfortunately, making money quickly and easily online doesn’t mean you can make a lot of money quickly and easily. Unless you are extremely lucky, or hit upon a great idea at the perfect time, making good money online in a sustainable way, will take time. If you are looking to make fast money online, the likelihood is it won’t be enough to buy you one of these. 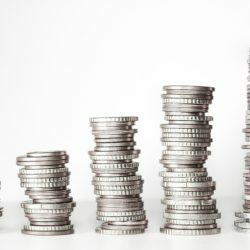 But if it’s a quick and easy small revenue stream you are looking for, then there are various ways you can achieve this on a number of diverse online platforms that have sprung up in recent times. With limited well paid employment opportunities available today, job seekers are turning to various online platforms in search for viable extra revenue streams. The good news is that you can also make quick money online regardless of your professional qualifications! Here are seven strategies you can use to make a quick buck online. If you fancy making money by sharing your views and opinions on various topics, then you should consider becoming a panelist by answering sponsored surveys. A survey is a special questionnaire used to gather data from a specific group. It is applied by companies to collect meaningful insights from consumers about current market trends, in order to improve future products and services. For you to participate, you must first join a reputable research panel. Fortunately, finding a trustworthy platform is easy considering the fact the internet is home to hundreds of survey panels. Most of these platforms are free to join and are open to participants from all over the world. Although rewards are small, taking online surveys enables you to generate a small income from home. Nearly all survey sites work in a similar way. Once approved as a panelist, you will be required to complete your profile in order to receive surveys that match your interests. Before answering any questionnaire, you may be required to undergo a screening process to determine your eligibility for available surveys. These screening tests check on various issues such as your age, gender, country of residency and other demographics, as most companies target specific respondents. Once you qualify for a survey, you must answer the questions provided within the stipulated time. Luckily, most surveys are not complex and they do not take longer than 30 minutes. However, it is advisable that you take your time to provide honest, valuable answers to increase your chances of receiving more invites. Depending on the survey panel, payments may include PayPal cash, e-gift cards, merchandise, movie tickets, sweepstake entries or retail vouchers. Although doing surveys can be quite fun and interesting, unfortunately the rewards are not significant. You certainly can’t depend on it as your main source of income. With this in mind, it is advisable that you join as many survey platforms as possible to increase your earning potential. 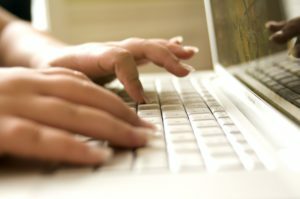 If you have a keen eye for detail, with good communication skills, then you could consider becoming a website tester. Website testing is another option if you want to make extra money online. On some platforms testing requires some coding skills at it involves checking a website or a web application for bugs and errors before its official launch. However, testing more often doesn’t need any particular knowledge, just an ability to communicate effectively what you see. Testing often entails checking the user interface of a website to identify various aspects that need improvement. This could be things such as the layout of the site, ease of use, security measures, content, accessibility, performance, mobile compatibility, loading speeds and the overall design of the site. Website Testing Requires Accurate And Clear Reporting Of What You See. This type of testing is needed to provide web developers and brand owners helpful feedback on the functionality and overall appeal of their websites. With companies investing heavily in web design and development, web testing has undoubtedly become one of the best ways of making quick money online. In fact, for some tests you can earn as much as $100 or even more. (Although more often the payment is on average around $10 per test. Brand owners know that a website represents the image of any business. For this reason, they are willing to spend money in carrying out comprehensive tests to ensure that their websites function optimally. To get started as a web tester, you need to register with any of the many web-testing platforms available online. You might be required to perform and submit a sample test for the admin to assess your testing skills, considering the fact that web testing requires some form of expertise. Once approved, you will be required to invest in various testing tools such as a microphone, webcam and a PC or laptop to help you perform accurate tests and submit high-quality reviews. Following various advancements in technology, the internet has become one global marketplace, anyone who has used EBay will be familiar with the opportunities such a platform presents. However, EBay isn’t the only platform you can use. You can now make money by selling stuff on online marketplaces such as eBid, Poshmark, Vinted and Declutrr among many others. Online marketplaces promise to connect you, and expose your products to millions of potential buyers. You may sell anything under the sun so long as they are not dangerous or harmful. 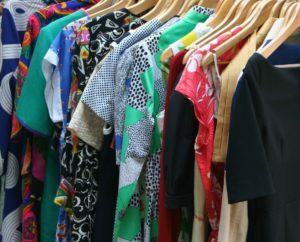 Accepted goods may include fashion accessories, electronics, used phones, second-hand clothing, shoes and toys among a wide range of other items. On some platforms the stuff you intend to sell online does not even have to be new. Items that you previously thought were clutter and of no value could just turn out to be valuable to someone else. Some of these online marketplaces allow you to list items free of charge and set your own prices. You do however require some good marketing skills to sell your items successfully, considering the fact that you will be competing for customers against thousands of other sellers. To get an upper hand, it is prudent that you post clear photos and write attractive descriptions of the items you are selling to lure more customers. 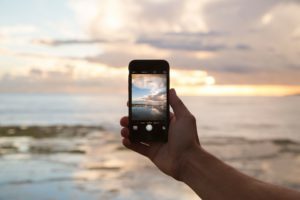 With the emergence of smartphones, taking a good, high-quality photo has become easier than ever. You no longer need to buy a fancy camera, or attend photography lessons to capture memorable moments or take a snapshot of your friends. You just need to tap the camera option on your phone and take as many photos as you want. Chances are some of those photos are going to be really good quality. You can now make money by selling some of your photos to thousands of potential customers at good prices. Photo stock companies are more than ready to offer you a platform where you can upload your best photos and showcase your creativity in exchange for cash. The best part is that these photo stock companies source for customers on your behalf, so long as you submit high-quality photos that meet specified requirements. Some of these customers include top brands, publishers, startups and entrepreneurs, who are always looking for interesting photos and attractive images that they can use for their adverts, book/magazine covers, logos, and other marketing campaigns. You will still get to keep the copyrights to all your photos, meaning that you will earn money in the long term from the same images every time a buyer makes a purchase. Also, most of these photo stock platforms do not have a limit on the number of photos you can upload. However, like other online platforms, competition for revenue is high, meaning that you must submit striking, high-quality images to attract more customers. Playing video games is another easy and enjoyable way of making extra money online. You don’t need expensive gaming consoles either to start making money as a gamer. All that is required is a PC or a compatible smartphone and a stable internet connection. You don’t need an expensive games console to make money gaming online. 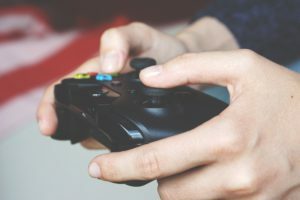 Playing games might be fun for you, but it is a serious business for advertisers, and marketers. Sponsors use gaming platforms to advertise their products and services to potential customers. The reason for being paid for playing these games is to drive traffic to sponsored websites. You will notice ads popping every few seconds, with options for in-app purchases whenever you are playing your favorite online games. These games require you to complete specific tasks or missions in order to earn cash and other rewards. For every mission you manage to complete successfully, you will gain experience points, earn achievement badges and advance to a higher level. Some games may request you to sign up to various websites or complete specific offers to advance to the next mission. You will earn various points or virtual money whenever you complete a mission successfully. You can then exchange your virtual money or point for real cash, gift cards or merchandise. You may also redeem your points for sweepstake entries and win great cash prizes. Sadly, the money you can get from playing games is not very much. However, it can go a long way to supplement your regular income. But let’s not forget, games are fun and exciting, and you can always use that extra cash to settle petty bills. There is some quick money to be made playing games online. You will have probably noticed nowadays that hardly a day passes without the release of a new app. This of course can only mean that the app industry is big business as the demand for new applications continues to rise by the day. However, before any app enters the market, it must first go through a rigorous testing process to check for flaws and bugs. This is where the role of an app tester comes into play. 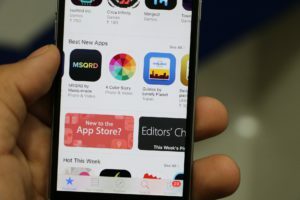 App developers usually release a beta version of the original app for potential users to test the functionality of the application and point out any bugs that need fixing. In return, you will receive cash rewards for the time and effort you put into identifying the various flaws and providing your feedback. Downloading and trying out apps can be very similar to web testing. However, the requirements for becoming an app tester are more lenient compared to the latter. All you need to do is test the app on your phone for a few seconds or minutes and submit your review. On most platforms, to earn all you need to do is download the app and run it for a short time. In some instances, you do not have to do anything other than allow the downloaded app to run in the background for a few hours or days. Our last but by no means least method of creating an online income is mystery shopping. If you are an ardent shopper, you will certainly love the idea of becoming a secret shopper. 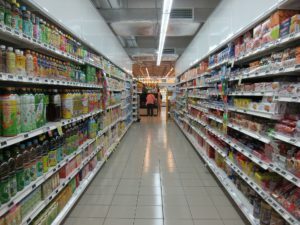 As suggested by the name, mystery shopping requires you to visit various stores near you to undertake a variety of fact-finding tasks, incognito. Brand owners want to know if retailers and store owners are complying with their placement deals. One of the best ways of finding out is by hiring secret shoppers. With this in mind, you will be required to perform various tasks such as checking on shelf placement of various products, confirming the availability of specific products, comparing and confirming product prices and reporting on the level of service delivered at a particular store. You may also have to interview various salespersons or retailers, and answer brief questionnaires to complete your mission successfully. You may also have to visit a particular restaurant and sample various delicacies or check on menu items. As a token for your time, you will receive a refund on any meal you purchase. Contrary to previous years, mystery shopping has become far much easier than ever. You no longer need to carry a pen or a notebook for data collection, thanks to the availability of mystery shopping apps. With a smartphone at your disposal, you can undertake your secret shopping tasks without anyone taking notice. However, mystery shopping is not as easy as it seems. You must have perfect observation skills and excellent photographic memory to carry out your tasks successfully. You must also be able to blend in seamlessly to avoid creating any disturbance whenever you visit your local stores. Payments for mystery shopping range from as low as $1 to as much as $20 per mission, depending on the nature and complexity of the tasks. The above-mentioned strategies are just a few of the many ways you can make quick money online. In essence, you can easily make money online using dozens of other techniques. However, the key to building a solid income online depends on your dedication and commitment. Working hard and thinking out of the box are all crucial to your online success. Moreover, before joining any site, make sure you read all the terms and conditions and follow all the requirements.